May 2001 to the present. The Firm has been ranked Tier 1 in New York City for Family Law by U.S. News - Best Lawyers "Best Firm Law". Attorney Rosenthal was admitted to practice law in the State of New York in 1989 and have concentrated her practice in the area of matrimonial law since that time. 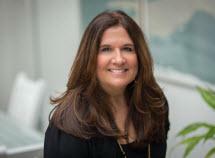 Ms. Rosenthal has received many honors and recognitions, including Av Preeminent rated by Martindale-Hubbell, selected to the New York Metro Super Lawyers, The Best Lawyers in America, Who's Who Professional of the Year 2016, New York Magazine's New York Area Top Lawyers and New York Times Top Women Attorneys in Metro New York lists. Ms. Rosenthal is the immediate past Co-President of the Association of Family and Conciliation Courts (AFCC-NY) New York State Chapter and currently is a Board Member and Co-Chair of the Nominating Committee. She is a member of the Interdisciplinary Forum on Mental Health and Family Law and has been selected to sit on the Matrimonial Committee of the New York City Bar 2015-2018. She is certified as an Attorney for the Child for the First Judicial Department and has been appointed by the New York County Judges as well as chosen by her peers to represent children and on numerous matters over the years. Attorney Rosenthal is a member of the New York State Bar Association, the New York City Bar Association and the Women's Bar Association. She has lectured on the issue of the GET Law, Orders of Protection and matters related to children going through high conflict divorce or separation. Ms. Rosenthal has received a certificate from the Association of the Bar of the City of New York's Basic Divorce Mediation Skills Training Program and as part of her practice handles mediation cases.